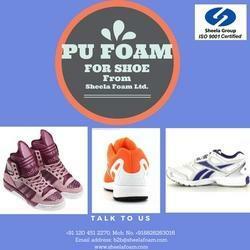 We are the leading Manufacture & exporters Creating a niche of Polyurethane Foam for Shoes such as Polyurethane Foam for Shoe Midsole, Polyurethane Foam for Sports Shoes, Polyurethane Foam for Shoe Bottom and Polyurethane Foam for Shoe Upper at its best, with utmost quality. applications Decoration, clothing, sports shoe, inner wears etc. Weatherperson is used to evaluate the resistance towards the light. This resistance is expressed in terms of the number of hours of exposure to the xenon lamp. 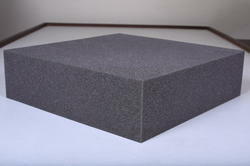 Our uv stable foam exhibit high blue scale index and thermal stability. Decoration, clothing, sports shoe, inner wears etc. We are the leading Manufacture & exporters high hardness range polyether based polyurethane foam offered by us is used fabrication of upper shoe foam. This foam can be milled, die cut and laminated with other fabrics. Our range of shoe upper foam complies with IS-7888 and ASTND: 3574 standard and finds its varied application in shoe industry.